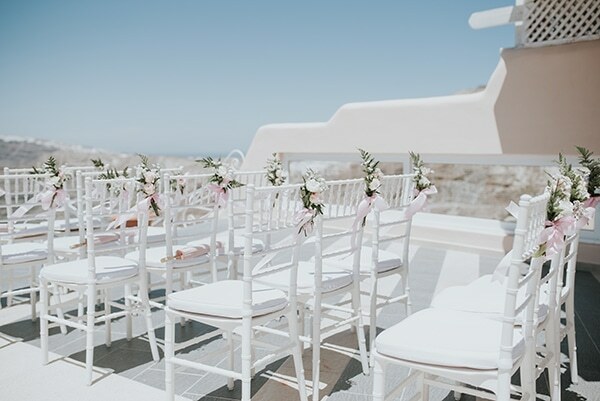 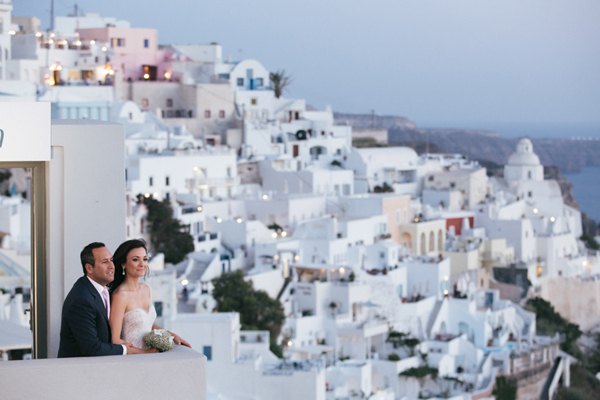 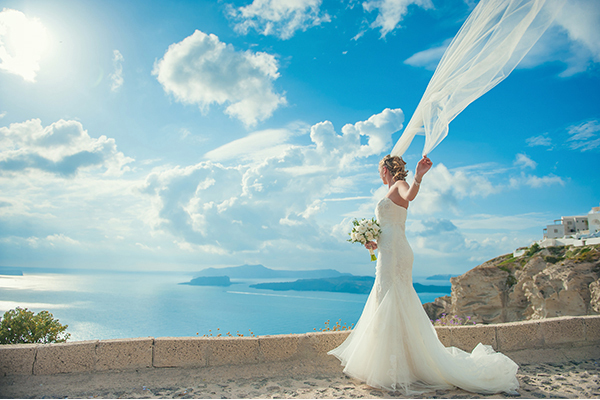 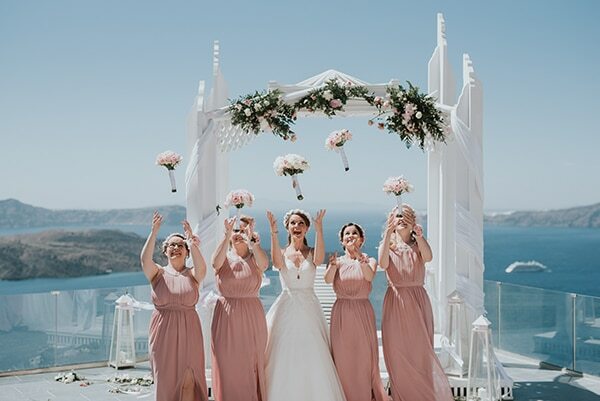 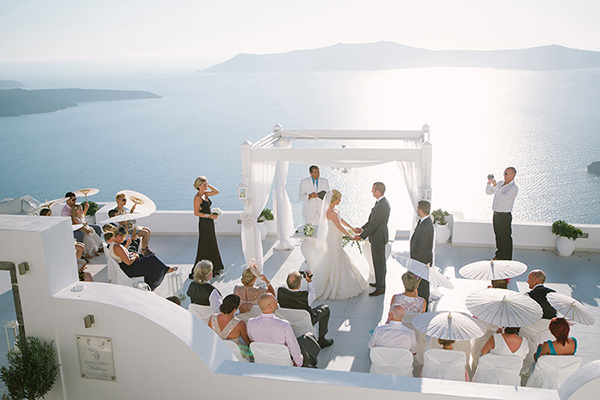 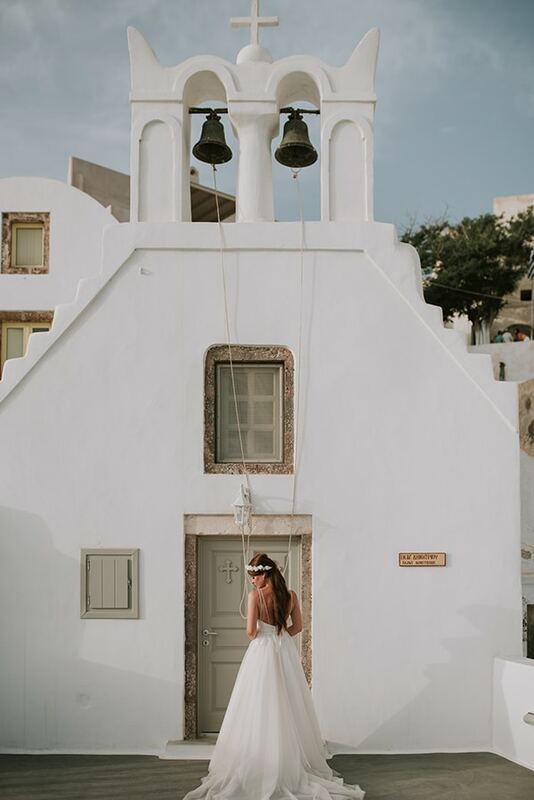 A destination wedding is Santorini is always magical! 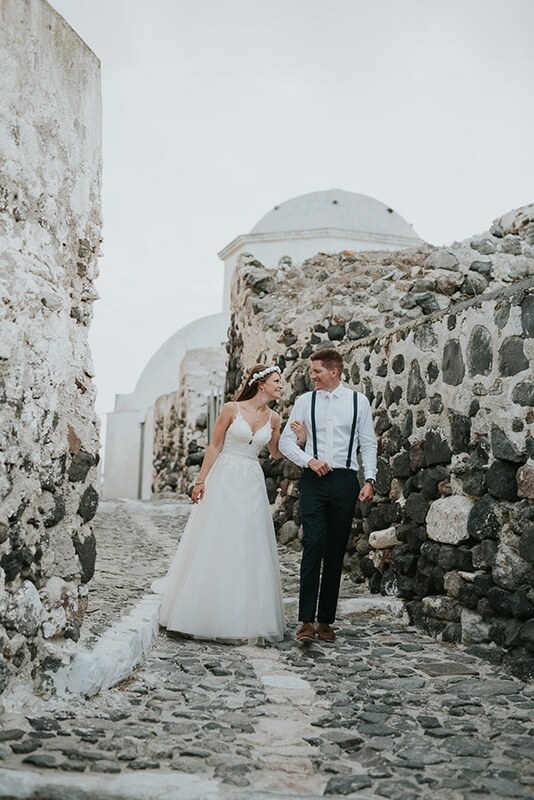 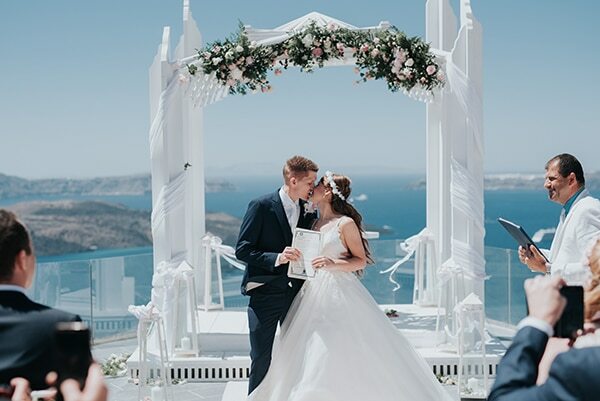 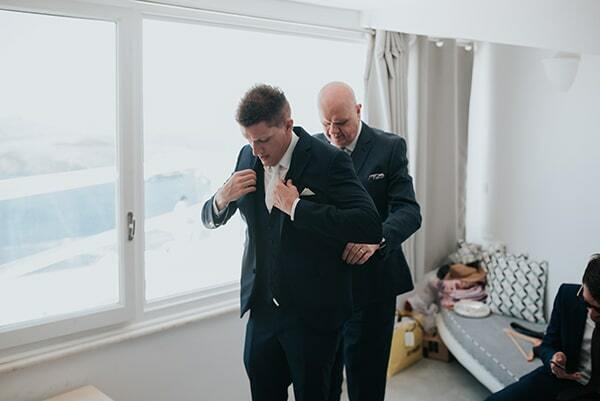 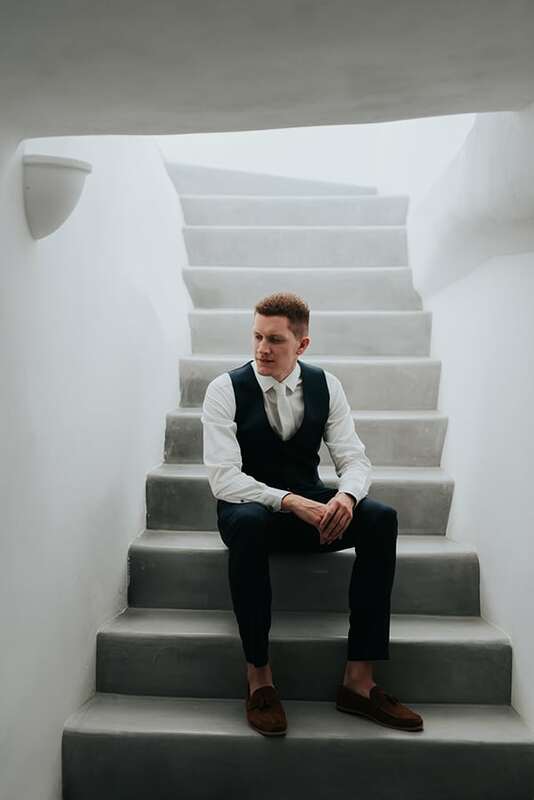 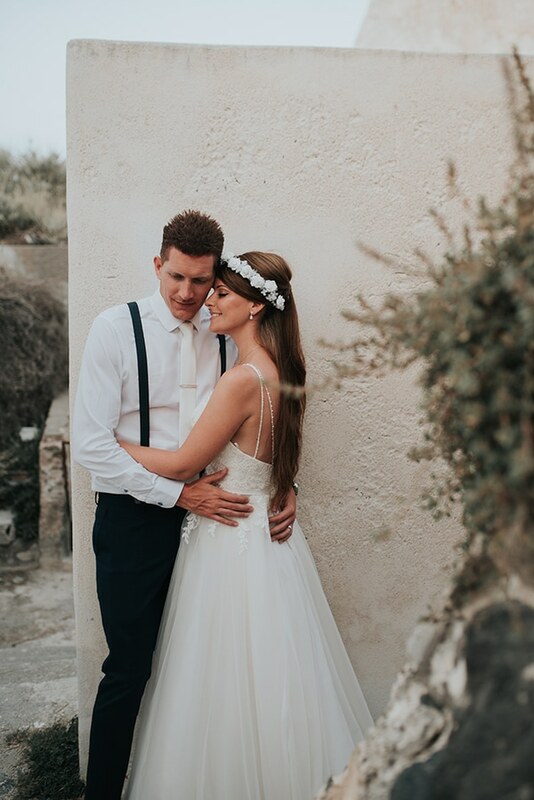 Natalie and Alex decided to seal their love in the traditional village Megalochori in Santorini, as they fell in love with the breathtaking view, the natural beauty and the romantic sunset of this place. 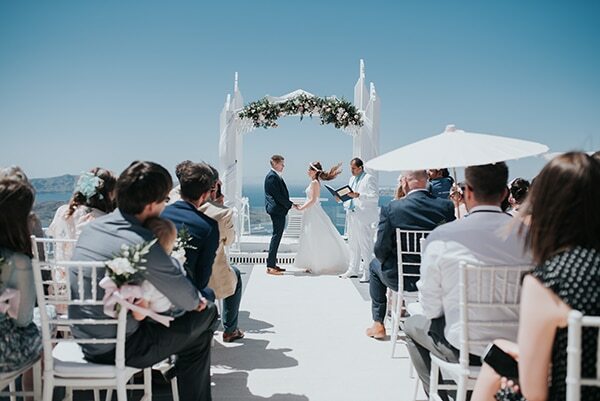 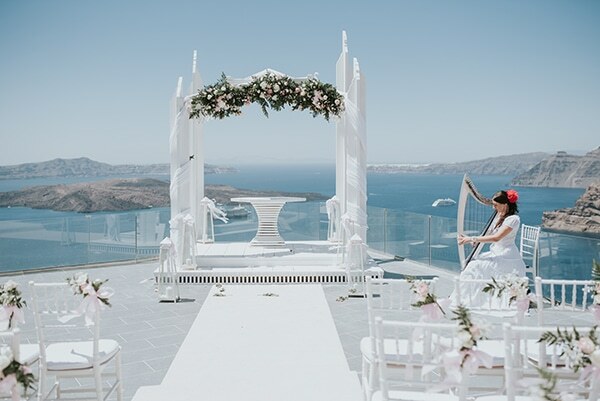 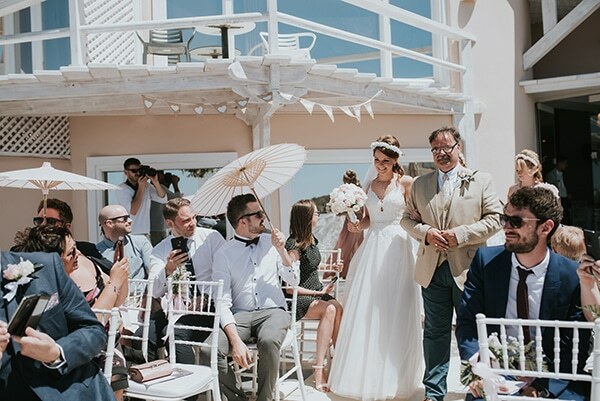 A private wedding terrace of a rustic hotel, overlooking the caldera was the ideal place for their wedding as it has the most stunning view of the island. 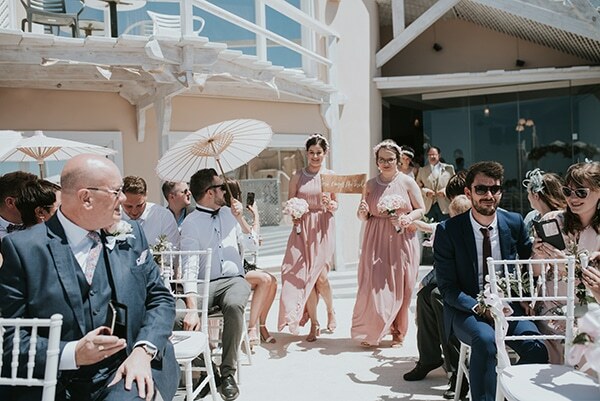 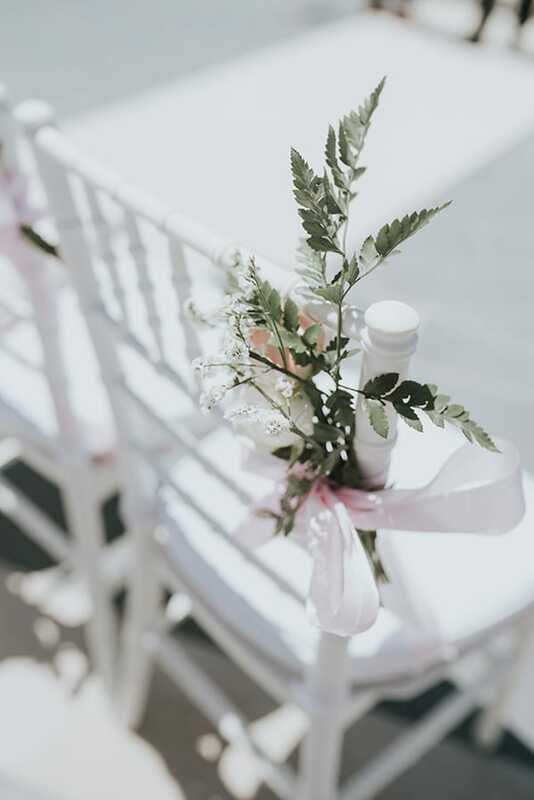 The couple chose to decorate the venue with an impressive floral wedding arch and white chairs adorned with small flower bouquets in soft pink and peach hues. 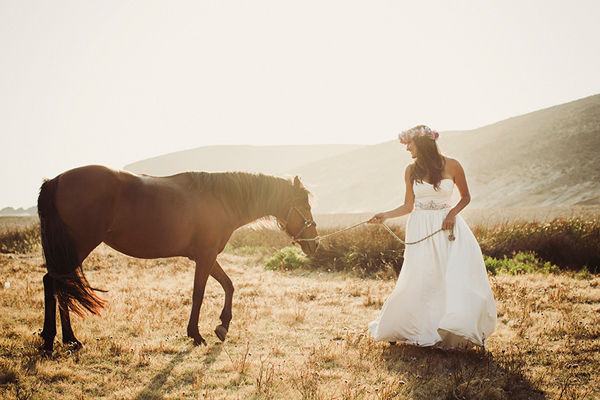 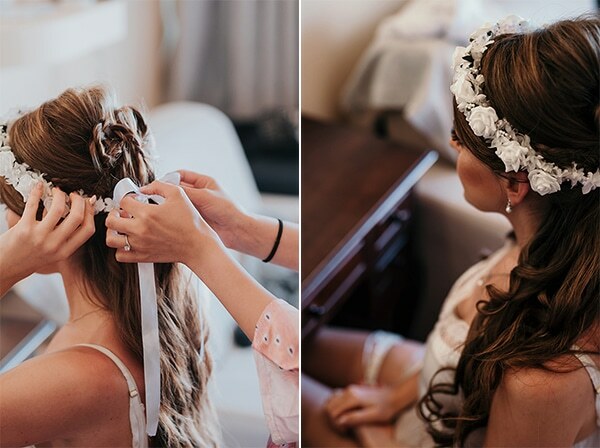 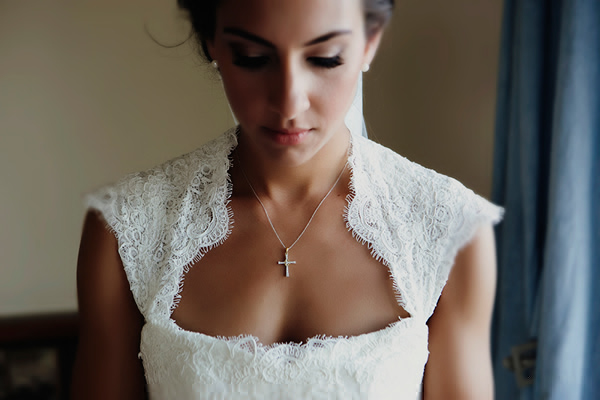 Prepare to get inspired by a wedding straight out of a fairytale!